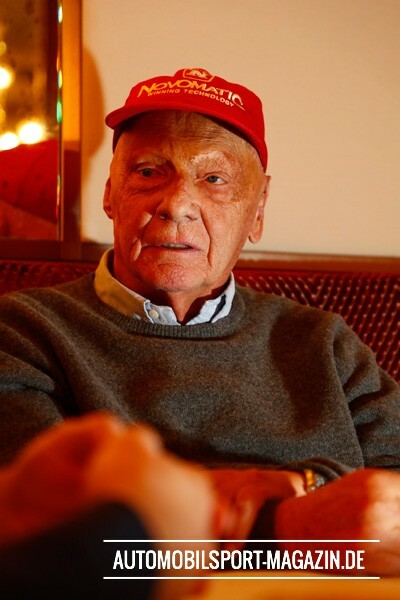 Niki Lauda’s Ferrari years between 1974 and 1977 consolidated the ambitious Viennese driver’s place on the list of F1 elites. He won two world championships, was once runner-up, and once fourth in the points. From 58 points-paying Grands Prix there were 15 wins, 32 podiums, and 242.5 points. AUTOMOBILSPORT met with the now Mercedes AMG man for an exclusive interview in Vienna, the first part of which covers his time with Ferrari. 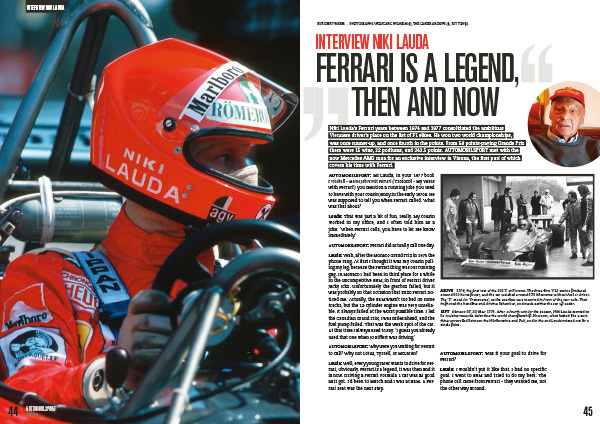 AUTOMOBILSPORT: Mr Lauda, in your 1977 book Protokoll – Meine Jahre mit Ferrari (‘Protocol – My Years with Ferrari’) you mention a running joke you used to have with your cousin Jenzy in the early 1970s. He was supposed to tell you when Ferrari called. What was that about? 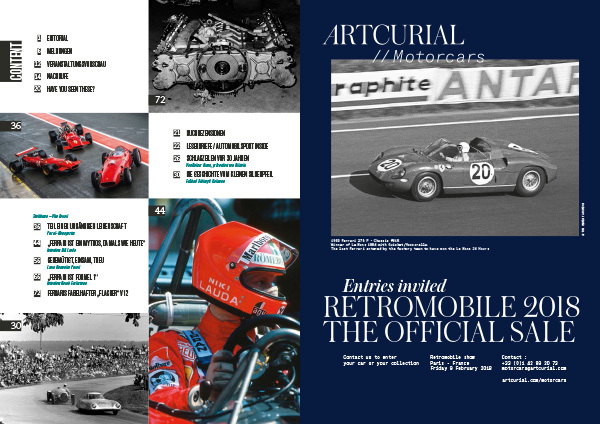 AUTOMOBILSPORT: Ferrari did actually call one day. 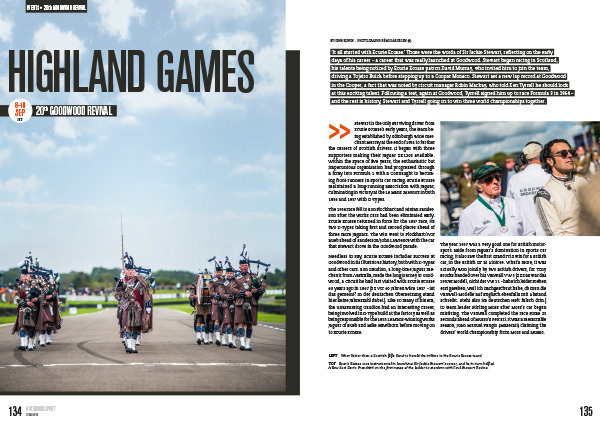 More in the current issue! 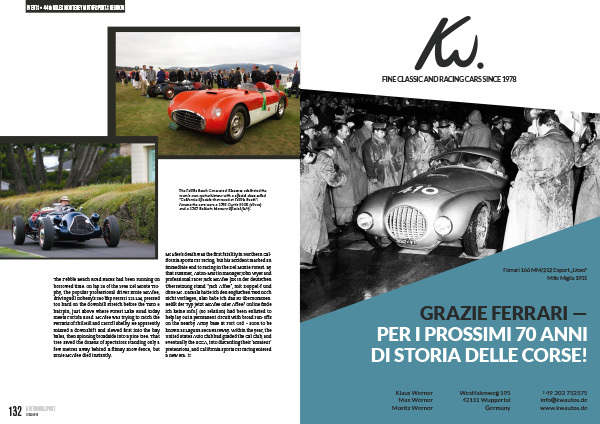 Millions of words have been dedicated to describing the life and times of Enzo Ferrari, in books, magazines, newspapers, and now on the internet. But very few words have been written about the woman by his side, who for a long time was a figure in the background, increasingly lonely, but holding a dignified presence until the end. 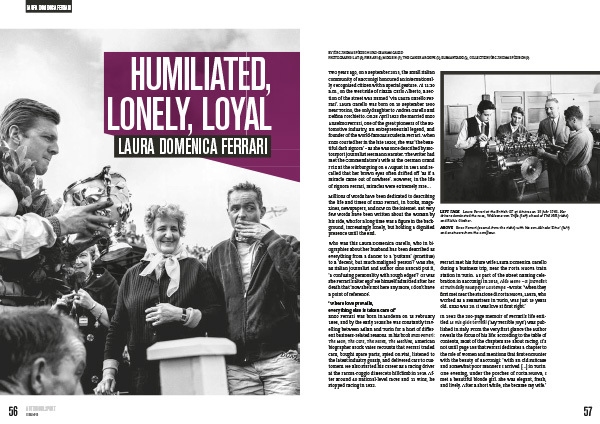 Who was this Laura Domenica Garello, who in biographies about her husband has been described as everything from a dancer to a ‘puttana’ (prostitue) to a ‘decent, but much-maligned person’? Was she, as Italian journalist and author Gino Rancati put it, ‘a confusing personality with rough edges’? Or was she Ferrari’s alter ego? He himself admitted after her death that ‘now she’s not here any more, I don’t have a point of reference’. 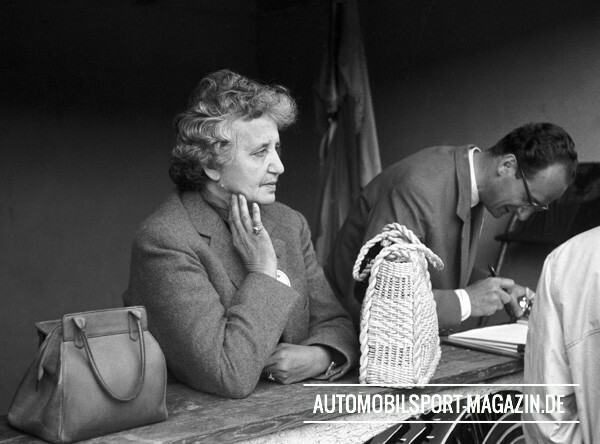 Enzo Ferrari was born in Modena on 18 February 1898, and by the early 1920s he was constantly travelling between Milan and Turin for a host of different business-related reasons. 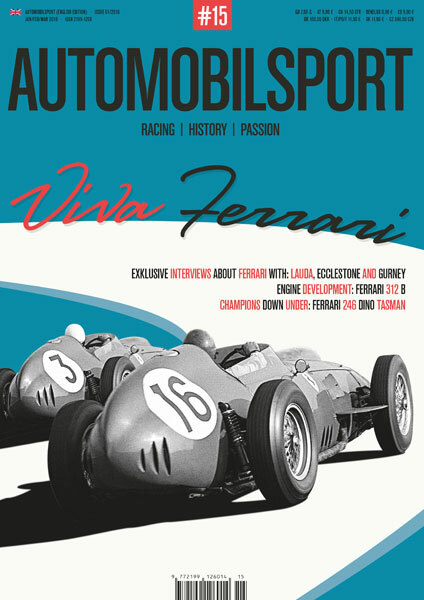 In his book Enzo Ferrari: The Man, The Cars, The Races, The Machine, American biographer Brock Yates recounts that Ferrari traded cars, bought spare parts, spied on Fiat, listened to the latest industry gossip, and delivered cars to customers. 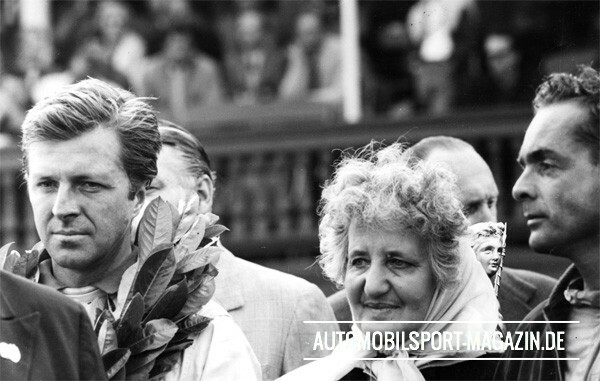 He also started his career as a racing driver at the Parma-Poggio di Berceto hillclimb in 1919. 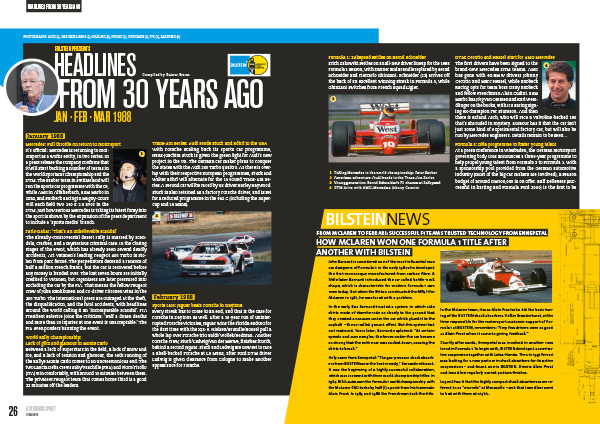 After around 40 national-level races and 11 wins, he stopped racing in 1932.
Who better to assess Ferrari’s role in Grand Prix racing than Mr Formula 1 himself: our author Ian Phillips met Bernie Ecclestone for an exclusive interview in his London office. 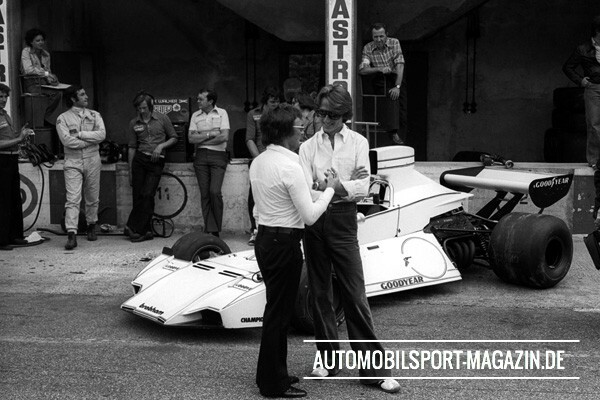 AUTOMOBILSPORT: Mr Ecclestone, you were a competitor in a 500 cc supporting race at the first world championship Grand Prix, team owner first of Connaught and later Brabham, driver manager of Stuart Lewis Evans and Jochen Rindt, and ultimately CEO of the whole Formula 1 business. 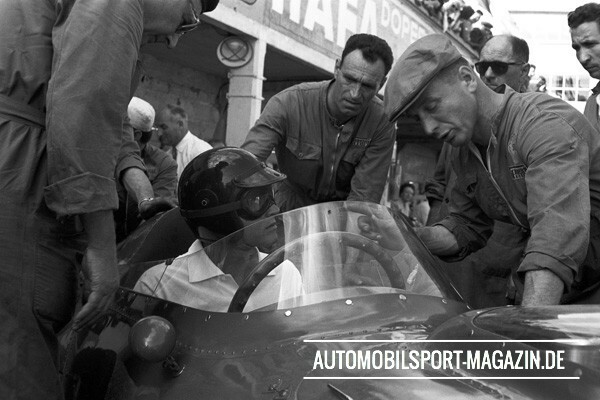 You’ve seen the phenomenon that is Ferrari and its key players from all angles at close quarters for their entire 70 years. What are your recollections? 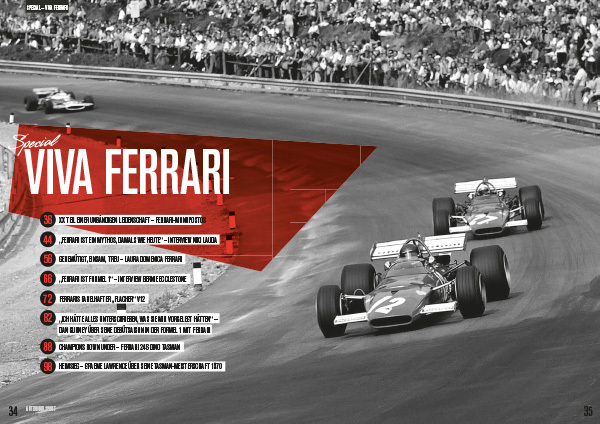 Ecclestone: Anyone who’s had anything to do with moving fast on four wheels knows, and would respect, Ferrari. They know how important they are. 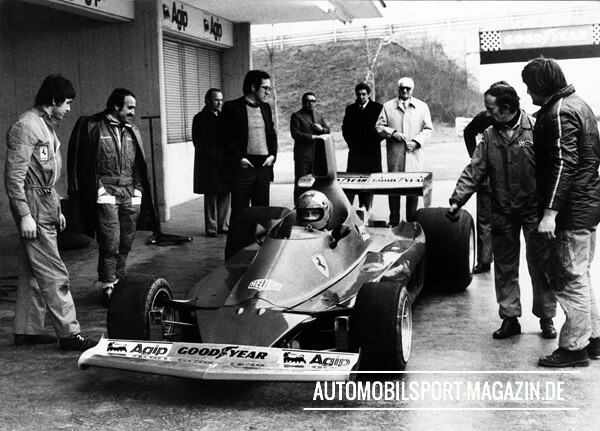 In the early days I don’t think anyone, not even innovators like Colin Chapman, realised how important Ferrari was. It just sort of evolved because they were always there. Enzo, the Old Man as we all referred to him, was obviously special, though. He never travelled; he didn’t speak English, but he always knew what was going on. 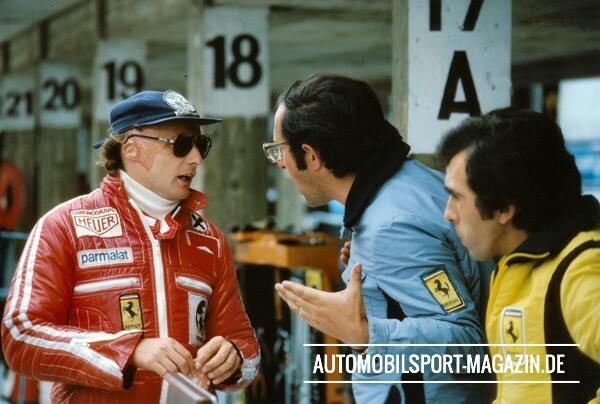 All the communication in the early days went through his legendary right hand man, Franco Gozzi, who never left his side. 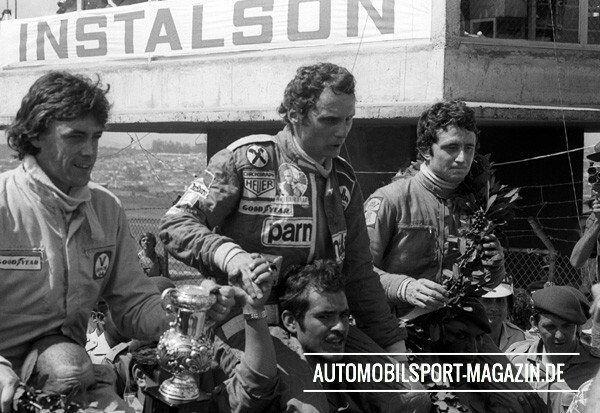 I didn’t really get to know him until I became a team owner with Brabham in 1972. 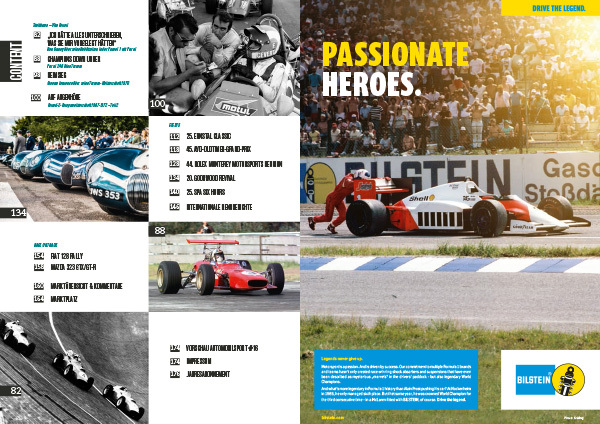 As the Formula One Constructors’ Association evolved, I got asked to look after the business side and put a structure into how Formula 1 races were organised and how the teams got paid. The teams all put some money in the pot, and I just got on with it. 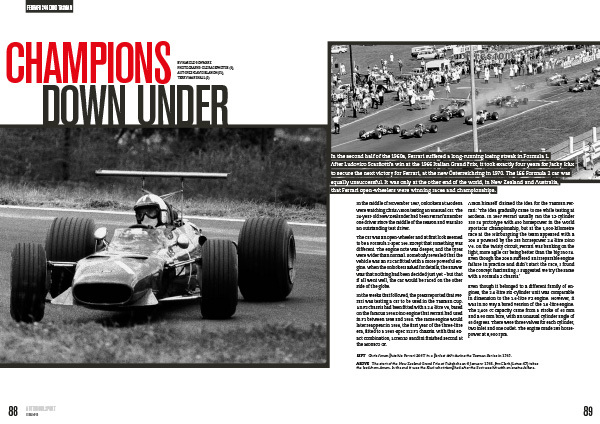 50 years ago, Dan Gurney became the first man to win a Grand Prix in a car he had designed himself. 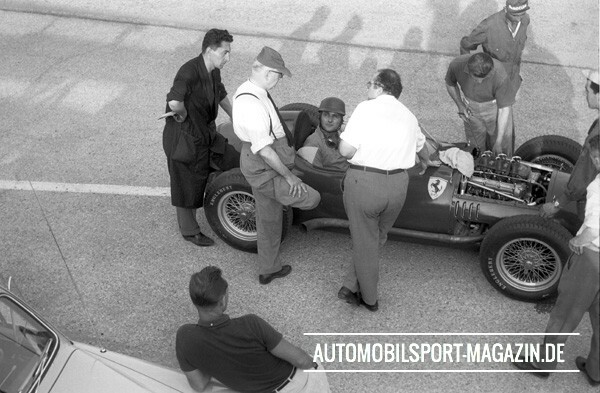 Eight years before that historic triumph at Spa-Francorchamps, the American had begun his Formula 1 career as a works driver with the Scuderia Ferrari. 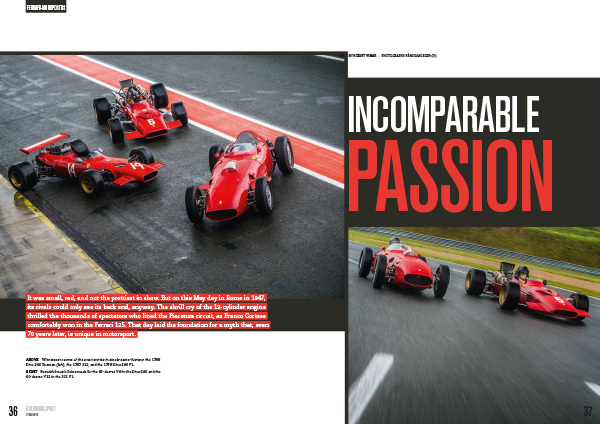 Exclusively for AUTOMOBILSPORT, the now 86-year-old recounts his exploits in the Dino 246 F1. 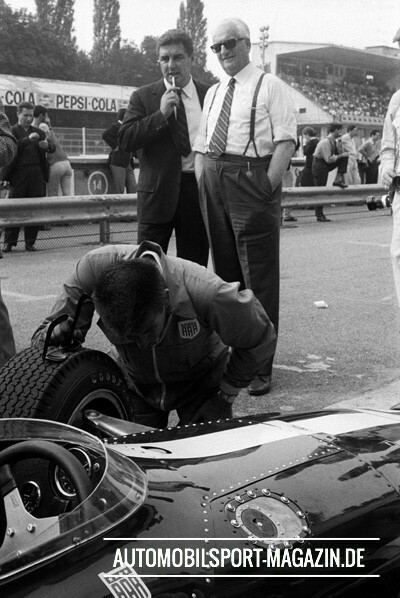 One thing I remember about the 1959 season is the car itself. The 246 Dino was very robust. You could drive it and shift it just as hard as you could. As long as you did not over-rev it, it was fine. 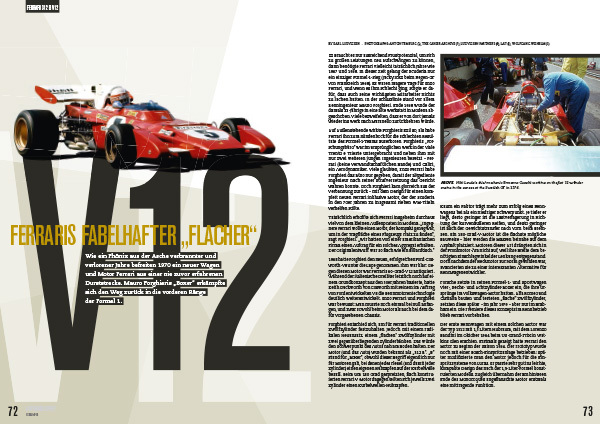 Back then I thought, okay, all Formula 1 cars are like that – and I had to find out later that they were not. I enjoyed driving the Ferrari very much. 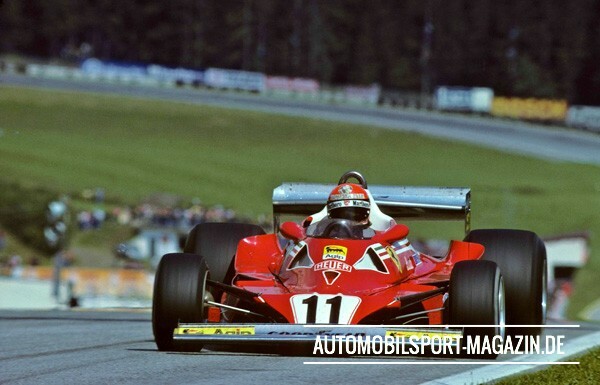 Once you got behind the wheel you recognised it was a very strong car, capable of winning the championship. During the season we drove some wonderful tracks – the Avus was a great track, as were Reims, Lisbon with its harbour, and Monza. 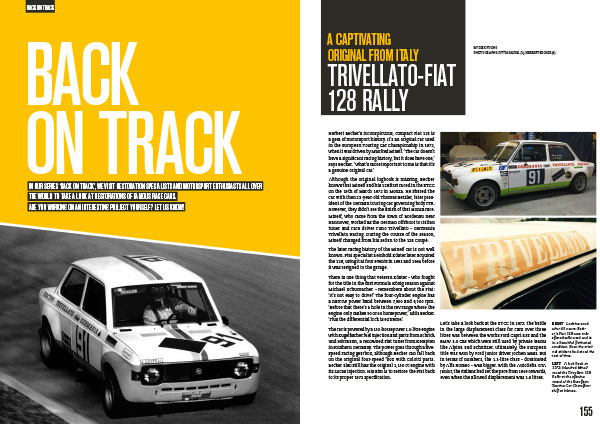 There is a picture of me driving around Stirling Moss in the Cooper on the outside of the Parabolica at Monza. I almost had him there, but driving a front-engined Ferrari it was hard to pass him. 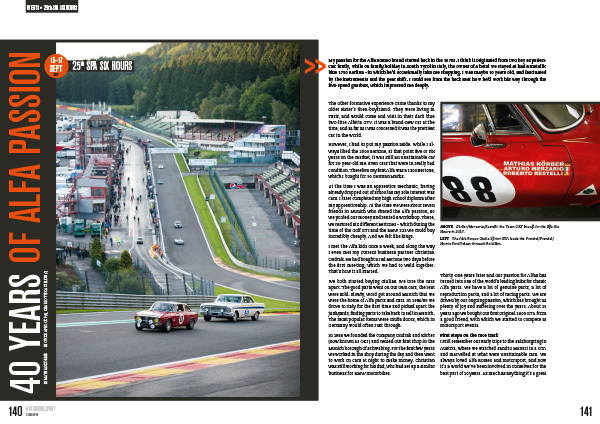 In those days I could see the coming of the mid-engined cars. The front-engined cars were somewhat heavier, because you had to get the power from the front of the car to the rear wheels. That requires weight. 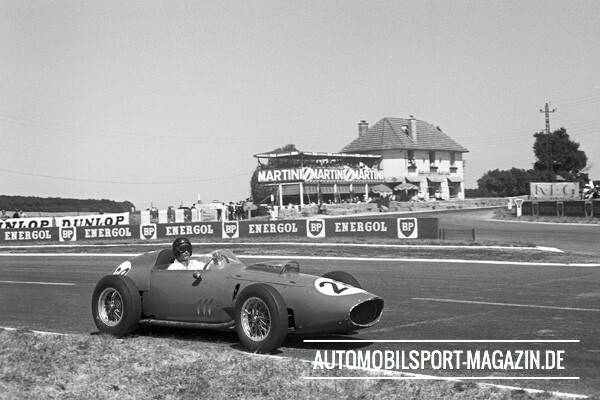 The Ferrari engine for sure was more powerful than the Climax engine of the Cooper. 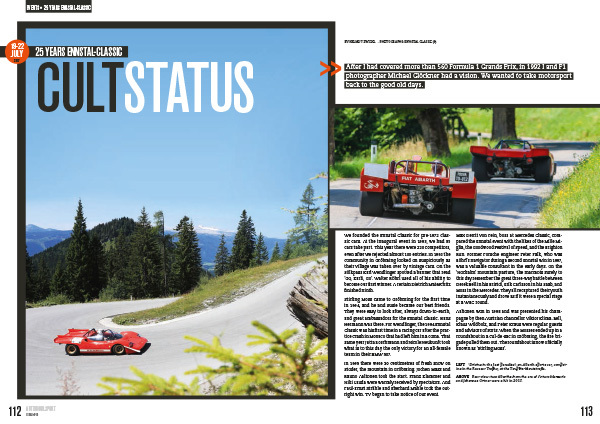 The robustness of a car might cost weight, but on the other hand, you have to finish a race in order to win it – so that was okay as far as I was concerned. 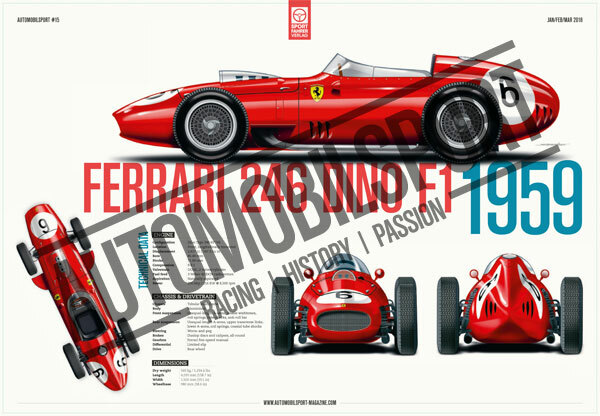 I came to Ferrari through the recommendation of Luigi Chinetti. 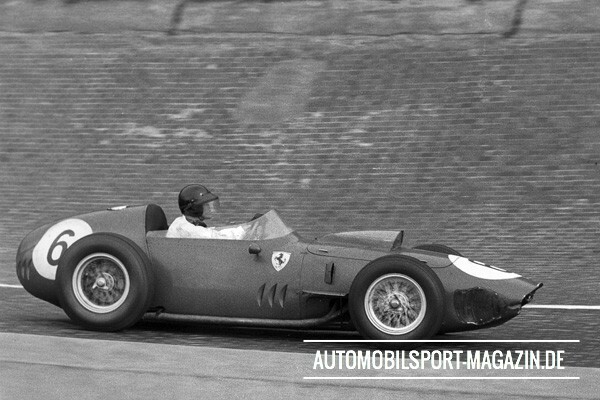 He could see that I had a good go, so he called and asked me – even though I was unemployed for about two weeks – whether I would come to Modena for a test. In the US we would have called this a farm system; like in baseball, when a team has people watching young talents to find new players.